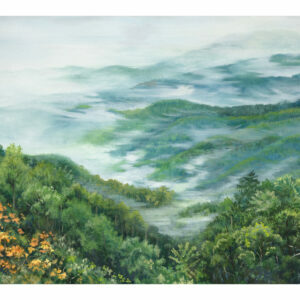 Jenean Hornbuckle paints mainly on canvas, creating large landscapes of natural scenes. 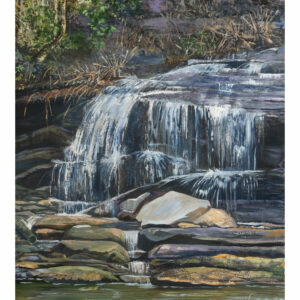 Born on the Qualla Boundary, Jenean attended Swain County High School, Appalachian State University, and finally Western Carolina University, where she obtained a Bachelor of Fine Arts Degree with a concentration in painting. 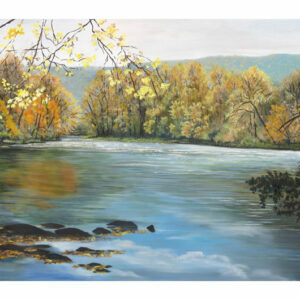 She is a founding member of the Seven Clans Art Guild. 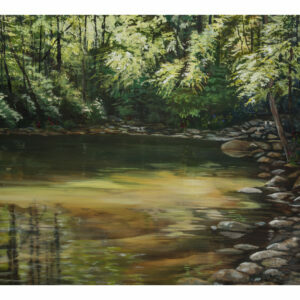 Jenean’s works can be seen throughout Cherokee, in Harrah’s Cherokee Casino, Museum of the Cherokee Indian, and Cherokee Indian Hospital and in Asheville at Memorial Mission Hospital. She also has a large piece showcasing the Cherokee creation story on display at the Museum of the American Indian in Washington, DC. “I just want to keep painting” Jenean says of her work. In the future she hopes to use natural elements and create her own canvas. Like her ancestors before her, Jenean will look to the woods for this.